A car accident can have crushing financial and emotional consequences. If a negligent third party caused the accident, you deserve compensation for your losses. Our attorneys can help you collect what you are owed by proving third-party negligence and demonstrating the true extent of injury and property damage. If you or a loved one has been injured in a car accident, reach out to us as soon as possible to one of our car accident attorneys. Since 1979, Foley Law Firm, based in Scranton, PA, has been helping car accident victims secure the verdicts and settlements necessary to move forward with their lives. Call one of our locations or contact us online to book a free consultation. Move to a safe area. If you can, move your car to the side of the road. Otherwise, get to the sidewalk. Call 911 and wait for authorities to arrive to arrive. You should turn off your engine and turn on your hazard lights in the meantime to alert other drivers. Exchange information with the other driver, including their driver's license number, license plate number, insurance, and contact details. Document the accident by asking for a copy of the police report, taking photos, and making notes of any important details. If possible, it is also beneficial to gather witness statements. Notify your insurer of your accident. Do not admit fault, apologize for the accident, or make any statements that you or your passengers are uninjured, even if significant injuries are not immediately apparent. Foley Law Firm has a full-time physician and nurse on staff to assess injuries. You should also contact an attorney as soon as possible after your accident. Our lawyers can guide you through the next steps during your free case evaluation. Taking simple measures to document the accident can be a significant benefit to your case. File an Insurance Claim: Generally, the first step after an accident is to file a claim with your insurance company or that of the other party involved. However, it is important to be wary of early offers because some companies will try to settle quickly at an amount far below what you need and deserve. Our team can assess any offers and determine if they are fair based on your injuries and property damage. File a Lawsuit: If an insurance company refuses to pay a fair amount, you may have grounds to pursue compensation through a lawsuit. Our team can investigate the details of your case and help you determine the best way to collect. If you are considering filing a lawsuit after a car accident, there are a few factors you should consider first. Who was at fault: While you can still file a lawsuit even if you were partially at fault for an accident, it is a good idea to be certain that the majority of fault lies with the other party. Otherwise, a lawsuit may not be worth the time and resources. The extent of your damages: Our attorneys typically only recommend a lawsuit for clients whose case is worth significantly more than what the insurer is offering. For smaller damages, negotiating with the insurance company may be more effective. Going to court: There is a possibility that you will need to go to court to argue your case before a jury, so you should be willing to take that step if needed. However, we try to settle most of our cases outside of the courtroom. Your attorney can discuss these factors with you during your initial case evaluation. The cause of your car accident can factor heavily into your case. Understanding what caused your accident can help our attorneys determine the best method of pursuing compensation and identify all responsible parties. Recognition errors: Driver inattention, distractions, and inadequate surveillance account for 41 percent of crashes. Decision errors: Speeding, driving too fast for road conditions, or misjudgment of others' speed caused 33 percent of crashes. Performance errors: Overcompensation, poor directional control, and issues with driver performance contributed to 11 percent of accidents. If your accident was caused by errors made by other drivers, you may have grounds for a lawsuit. Other causes, such as auto defects or poor road conditions, may justify a case against manufacturers and other parties. Proving liability on the part of another party is the key to collecting compensation for your losses. 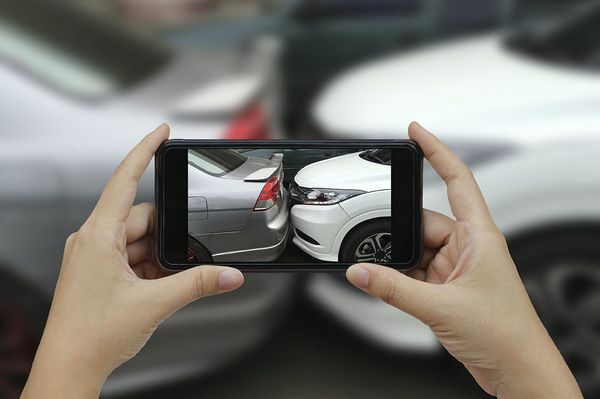 Rear-end collisions: In most cases, the driver who hits the car in front of them is at fault for the accident unless the driver in the front vehicle was careless in some way. Some factors that may shift liability include broken brake lights or faulty turn signals. Left-turn accidents: The driver turning left is almost always at fault for the accident unless they can prove the driver going straight was speeding or failed to follow the rules of the road. DUI crashes: It is illegal to drive under the influence of alcohol or drugs. If one driver is found to be under the influence, they are considered liable for the injuries caused in the accident. If the insurance company fails to provide a fair settlement, we can use this same evidence to file a lawsuit and pursue the amount of compensation you truly deserve. A serious car accident can also lead to the tragic loss of a loved one. If you lost a loved one due to a car accident caused by the negligence of others, our attorneys can help you file a wrongful death suit and hold responsible parties accountable for their actions. Car accident victims usually begin incurring medical bills immediately after the accident. These expenses include ambulance transportation, hospitalization, and surgery. Unfortunately, you may require ongoing medical care. Often, victims require long-term physical therapy, counseling, and additional surgeries. The serious injuries caused by car accidents result in many of our clients being unable to work. This can place a substantial financial burden on you and your family. Typically, the amount of compensation for lost wages depends on your age, career, and skill level. We understand the toll that significant property damage and injuries can have on your life. We are passionate about seeking justice on our clients' behalf. Sometimes called non-economic damages, this type of compensation refers to the psychological duress suffered after your accident. While it is difficult to attribute monetary value to your post-accident anguish, courts typically use a per diem system that establishes a financial value for each day of distress you have suffered to calculate the sum of these damages. In most car accidents, there is also physical damage to your vehicle. This can require expensive repairs, rental car or transportation costs, and the need to replace items inside the vehicle that were broken. On average in 2017, 221 people were injured daily in car crashes and three were fatally injured. Our accident attorneys can explain these concepts to help you make an informed decision about pursuing a lawsuit. In Pennsylvania, personal injury lawsuits have a two-year statute of limitations, meaning you have two years after your accident to file. If you were injured, the "clock" starts running on the date of the accident. However, if you lost a loved one in an accident and wish to file a wrongful death lawsuit, the date that matters is the date of the victim's death, which may be different from the date of the accident. It is very important to consult an attorney as soon as possible after an accident to ensure that you have enough time to file. Once your two-year limit expires, you can no longer pursue compensation against those who may be responsible for your accident. When both parties are found to share the blame for a car accident, Pennsylvania operates under the rule of "modified comparative fault." Under comparative negligence rules, the total dollar amount you can collect depends on what percentage of fault the courts decide you share. For example, if the court rules that you share 20 percent of the fault for an accident and you suffered $10,000 worth of damages, you would only receive $8,000. Pennsylvania is one of the few states that provides the option to choose no-fault car insurance. Motorists with this type of insurance have limited options when it comes to filing suit against a third party. For example, a no-fault insurance carrier can pursue actual damages that exceed a certain amount, but collecting compensation for pain and suffering is only permissible under very specific circumstances, such as the other motorist driving under the influence or driving a car registered in another state. Dealing with the aftermath of a car accident can be incredibly stressful. Hiring an attorney can allow you to focus on healing while an advocate takes care of collecting what you deserve. Our team can negotiate with the insurance company to make sure you are treated fairly. If they refuse to pay you a fair settlement or your damages exceed the amount you can collect through insurance, we can file a lawsuit to help you start your path to recovery. Can I Afford a Lawsuit? At Foley Law Firm, we handle all of our personal injury cases on a contingency basis. Taking a case on contingency means we do not collect fees unless we win your case. You deserve effective legal representation dedicated to serving your best interests. Foley Law Firm is committed to using our resources and knowledge to help you receive fair restitution for your losses. To schedule your free consultation, contact us online or call one of our locations today.